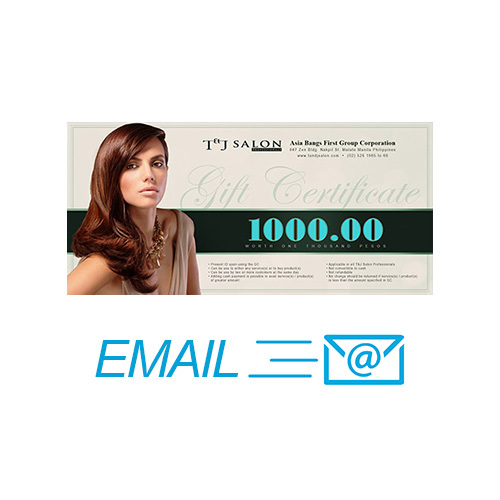 Gift Certificate worth P1,000 for T&J Salon Professionals with 5% 0FF NOTE: Strictly applicable in T&J SALON PROFESSIONALS branches only. (Excluded: Bangs Prime Salon and Tony &.. 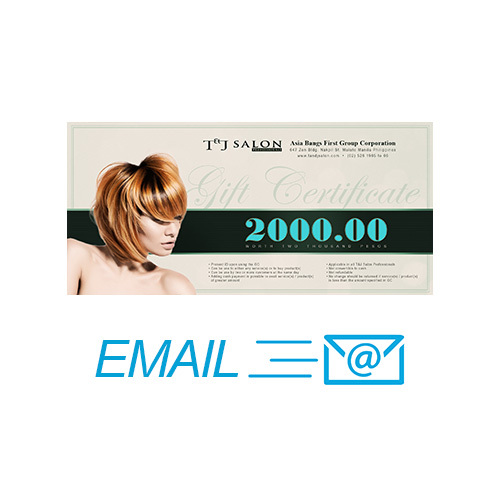 Gift Certificate worth P2,000 for T&J Salon Professionals with 5% 0FF NOTE: Strictly applicable in T&J SALON PROFESSIONALS branches only. (Excluded: Bangs Prime Salon and Tony &.. Gift Certificate worth P3,000 for T&J Salon Professionals with 5% 0FF NOTE: Strictly applicable in T&J SALON PROFESSIONALS branches only. (Excluded: Bangs Prime Salon and Tony &.. 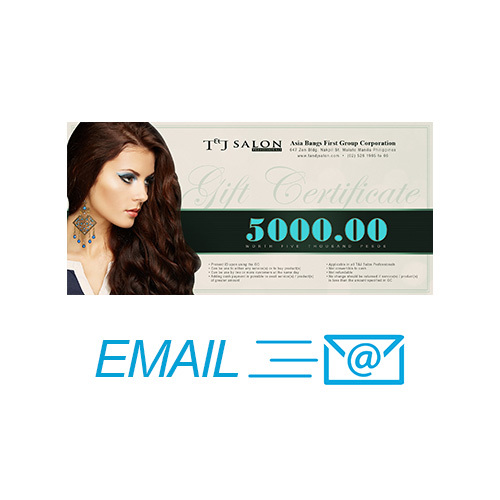 Gift Certificate worth P5,000 for T&J Salon Professionals with 5% 0FF NOTE: Strictly applicable in T&J SALON PROFESSIONALS branches only. (Excluded: Bangs Prime Salon and Tony &.. Gift Certificate worth P7,000 for T&J Salon Professionals with 5% 0FF NOTE: Strictly applicable in T&J SALON PROFESSIONALS branches only. (Excluded: Bangs Prime Salon and Tony &.. 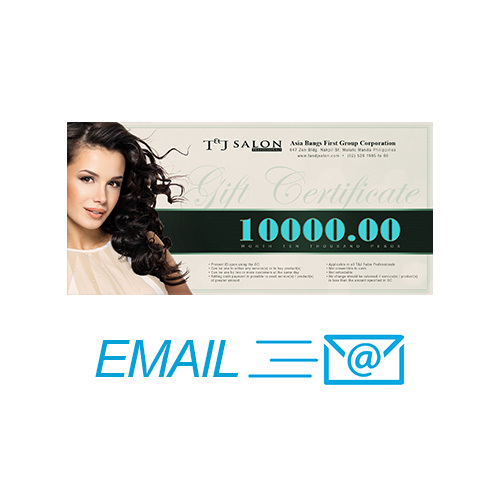 Gift Certificate worth P10,000 for T&J Salon Professionals with 5% 0FF NOTE: Strictly applicable in T&J SALON PROFESSIONALS branches only. (Excluded: Bangs Prime Salon and Tony &am.. 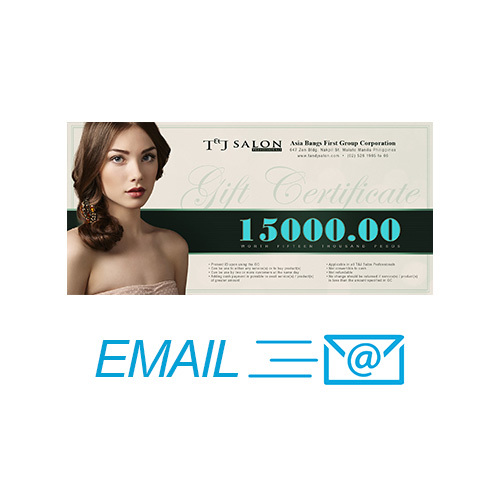 Gift Certificate worth P15,000 for T&J Salon Professionals with 5% 0FF NOTE: Strictly applicable in T&J SALON PROFESSIONALS branches only. 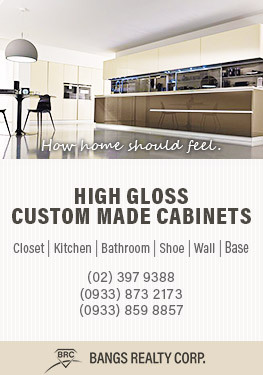 (Excluded: Bangs Prime Salon and Tony &am..